← HEROES AND HEROINES, 2014! MORE HEROES AND HEROINES, 2014! Jan. 9, 2014. By Jack Jodell. ELIZABETH WARREN stands at the very top of this list. 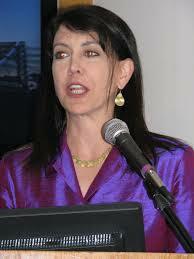 A newcomer to the U.S. Senate, she has wasted little time in exposing Wall Street’s abuses and corporate greed. She is a tireless advocate for the American consumer and has pushed for many common sense regulatory measures dealing with economic justice for the 99% MAJORITY. No wonder the bought-out, corporatist 1% minority who comprise the Tea Party-infested, reactionary Republican Party hate her as they do! For that reason alone, she deserves our support. 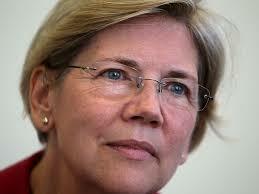 Warren has been mentioned as a potential Democratic Party candidate for 2016, which would suit me fine. Actually, though, I would rather see the Senate and especially the House of Representatives come to be dominated by like-minded progressive types. Then we’d start seeing some genuine beneficial change in our government! As a leader of the House Progressive Caucus, Minnesota’s own KEITH ELLISON has been active both at the state and now the federal level for a long time promoting pro-people, economic justice policies. 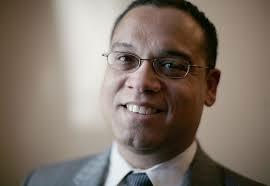 A bitter foe of the corporate elite and a strong advocate for the poor and very exploited middle class, Ellison is a rising star in progressive politics and is definitely worth watching. A long-time champion of economic justice and a big friend of working Americans has been Michigan 13th District Representative JOHN CONYERS, JR. 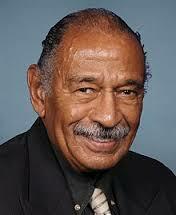 In 2003, Conyers first presented a bill to the House called The National Health Care Act, which called for the installation of a single-payer. universal health care system for the entire nation. Regretfully, it has never been passed into law. Undaunted, Conyers has reintroduced this bill in every session since, including his latest reintroduction just this past week. Though very unlikely to pass even now, ot shows that this persistent Congressman has his head and heart in the correct place, and, with enough like-minded cohorts in Congress, we may yet see such a sensible, all-inclusive bill finally become law. Let’s hope and continue to push for it! 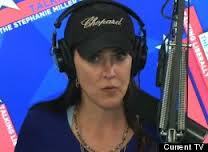 Former actress and now radio talk-show host and new Free Speech TV political pundit STEPHANIE MILLER provides us with an uplifting and slightly irreverent show which I have found highly entertaining to turn onto. Her upbeat personality certainly carries the day, and I would put her in the must listen to / must watch category! 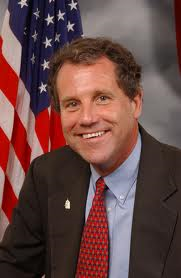 Ohio Senator SHERROD BROWN has been a very reliable advocate of economic justice policies since first hitting the Senate 7 years ago and even before that. A former schoolteacher, Brown knows full well the struggles middle class and the poor have been facing in this era of global economic exploitation. In his book Myths of Free Trade, Brown forcefully states that “an unregulated global economy is a threat to all of us.” These are words to the wise for all who have failed to grasp the harmful effect that foolishly one-sided trade agreements like NAFTA and CAFTA, among many others, have had on our farmers and industrial workers. This is a good man with a solid vision on what is right, wrong, and fair in the global economy. He should be listened to by all, and he is more than deserving of our support. 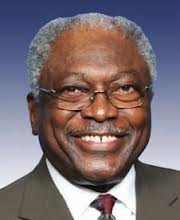 Rep. JIM CLYBURN of South Carolina has earned top-notch progressive honors with his long term strong support for environmental issues, organized labor, health care for all. and for social and economic justice. He can be reliably counted on to vote correctly on nearly all hot button progressive issues. This is a thoughtful man, who always seems to carefully weigh what would work best for those who need help the very most. We can often see him giving his input on and promoting his progressive beliefs on the major news networks. 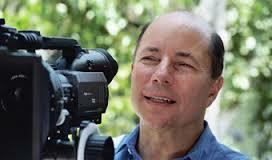 Film producer ROBERT GREENWALD, with his factual and informative Brave New Films line of excellent progressive films exposing the lies of conservative, reactionary, and even greedy corporate America, is constantly producing and releasing new titles in order to counteract the nonstop lying and distortion being peddled by the far right every single day through the very ideological and dishonest Fox “News.” We can take great pride in knowing that Mr. Greenwald is out there dispensing actual truth! These are just a few more of the many forward-thinking individuals who are actively working on behalf of the normal, non corporatist, non-special interest 99% MAJORITY of this country. There are also many others actively engaged in pushing forward for the betterment of ALL citizens’ lives. Unlike the noisy, attention-grabbing loudmouthed reactionary Republicans, these activists are decidedly NOT obstructionists and actually believe our federal government has a legitimate role in regulating big corporate interests and helping to level the economic playing field to create opportunity for ALL citizens – NOT just a privileged few. They should serve as inspirations for us to work hard this year to ensure that many more of their kind are elected to office. This entry was posted in "free market" economics, Brave New Films, commentary, corporate greed, corporatist, economics, Fox "News", Politics, Progressives, reactionary Republicans, Robert Greenwald, special interests, talk radio, Tea Party-infested reactionary Republican Party, the 1%, THE MAJORITY 99% and tagged Elizabeth Warren, Free Speech TV, Jim Clyburn, John Conyers, Jr., Keith Ellison, Michigan, Minnesota, National Health Care Act, obstructionists, Ohio, Sgerrod Brown, South Carolina, Stephanie Miller, U.S. Senate. Bookmark the permalink.